Long considered a symbol of the harsh alpine environment, the rock ptarmigan risks to lose more than 90% of its habitat in the Alps by the year 2090. 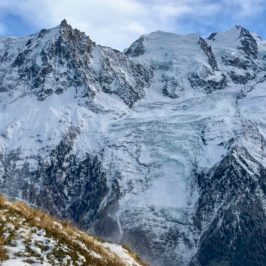 Read on to learn about CREA Mont-Blanc ecologist Brad Carlson’s analysis of the factors contributing to the brutal disappearance of this species. A relic of a time long ago when Europe was covered in glaciers, the rock ptarmigan (Lagopus mutus helveticus) is a mountain-dwelling species of bird that depends on the cold for reproduction and development. When the great glaciers of the last ice age began to retreat around 10,000 years ago, the rock ptarmigan found that its favorable habitat (cold areas with consistent snow cover) became limited to small islands of suitable habitat in the Alps and Pyrenees. 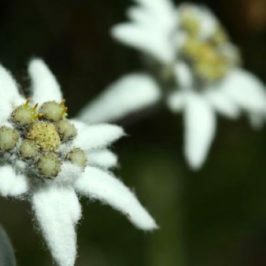 Although this remarkable species has succeeded in moving and adapting to 20,000 years of climatic variations (Lagerholm et al. 2017), the unprecedented and ongoing warming in the Alps leaves the rock ptarmigan with a very uncertain future. There are multiple reasons for this brutal habitat loss. 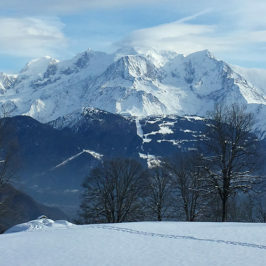 In addition to a warming climate and decreases in snow cover, which will reduce the overall surface area of favorable habitat, the extreme topography of the Mont-Blanc massif also plays an important role: steep rock faces and glaciers significantly limit the species’ ability to move up in elevation. Even if the glacier retreat anticipated between now and 2050 may open up some new favorable areas for the rock ptarmigan, these new zones will not be able to make up for the loss of habitat elsewhere in the massif. 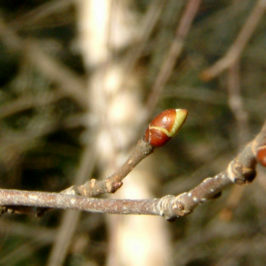 In addition, because the survival of the species is dependent on vegetation, it is limited by the time it will take for alpine plants to colonize and thrive at higher elevations. Finally, although our species distribution models are not designed to take into account the impact of skiers, climbers and hikers, it is important to keep in mind that human disturbance is especially costly and has already played an important role in the decline of rock ptarmigan populations across the Haute Savoie region. Now for the question faced by many a scientist: so what? First of all, because they are beautiful. 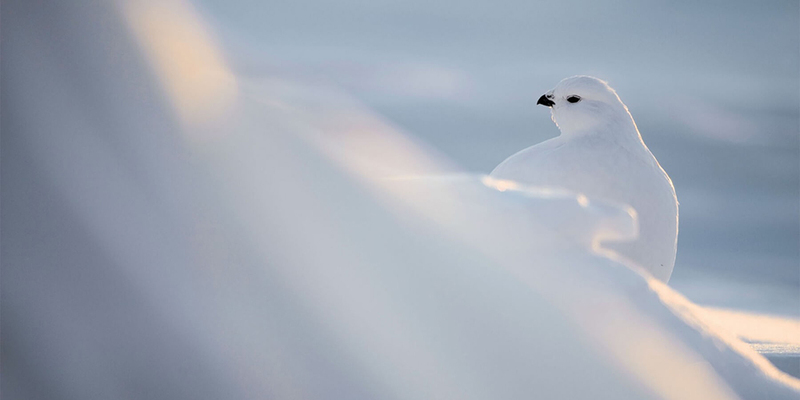 As we saw in the recently released documentary film « Origines : La faune venue du froid » created by Daniel Rodrigues, the rock ptarmigan is a species that, even if we are rarely able to catch a glimpse of it, captivates our imagination because of its remarkable ability to live in such harsh conditions. Another argument that can be made is from a conservation biology perspective: it is an important puzzle piece in the diversity of the Alpine region, the ptarmigan is an emblematic species with a unique genetic heritage and biogeography dating back to the last ice age. Finally, just like retreating glaciers and melting permafrost, the rapid disappearance of species like the rock ptarmigan act as tangible evidence of the impact of climate change on the mountain environments around us. Lagerholm, V. K., Sandoval‐Castellanos, E., Vaniscotte, A., Potapova, O. R., Tomek, T., Bochenski, Z. M., & Dalén, L. (2017). Range shifts or extinction? Ancient DNA and distribution modelling reveal past and future responses to climate warming in cold‐adapted birds. Global Change Biology, 23(4), 1425-1435. Novoa, C., Desmet, J.-F, Muffat-Joly, B., Arvin-Bérod, M., Belleau, E., Birck, C., & Losinger, I. (2014). 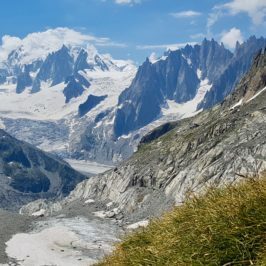 Le lagopède alpin en Haute Savoie, biologie des populations et impact des activités humaines. Publication ONCFS/Asters/GRIFEM, 64 pages. Revermann, R., Schmid, H., Zbinden, N., Spaar, R., & Schröder, B. (2012). Habitat at the mountain tops: how long can Rock Ptarmigan (Lagopus muta helvetica) survive rapid climate change in the Swiss Alps? A multi-scale approach. Journal of Ornithology, 153(3), 891-905. Virkkala, R., Heikkinen, R. K., Leikola, N., & Luoto, M. (2008). 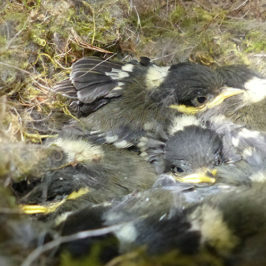 Projected large-scale range reductions of northern-boreal land bird species due to climate change. Biological Conservation, 141(5), 1343-1353.